LinkedIn is a treasure trove when it comes to recruitment - or so you've heard. You do not know how to get started. Or if you did, you have not tasted any success. Well, you're in luck. 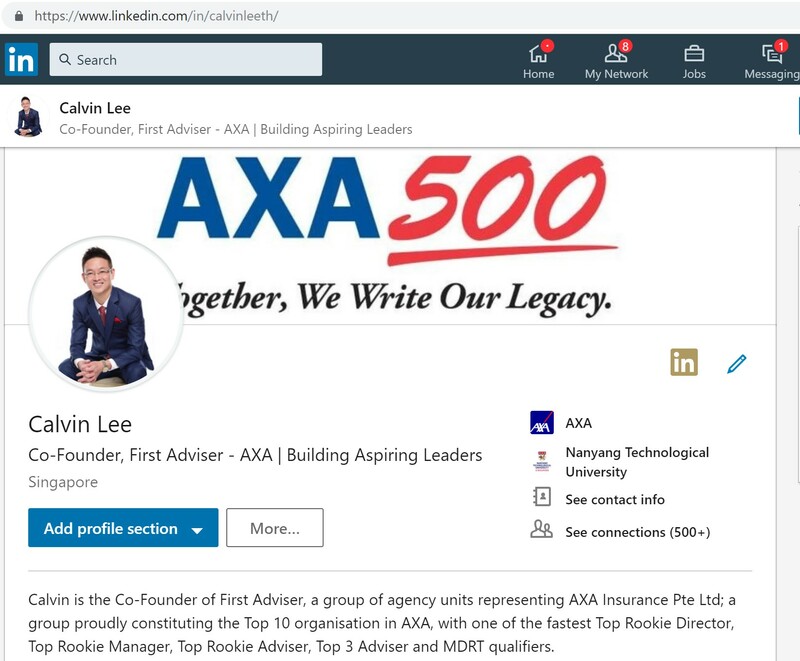 Calvin Lee, Financial Services Director, AXA, shared generously and in great detail, his LinkedIn recruitment blueprint. This 10-step guide helped him to recruit 5 advisers from LinkedIn the first year he implemented it in 2014. And as a practitioner himself, he understands the many hats agency leaders have to put on and the need to keep an eye on costs. So here is his selfless sharing, including the breakdown in costs and earnings. As all agency leaders or aspiring agency leaders would know, a leader has to recruit, sell, coach, train, counsel and be all things rolled into one for each member of his team. But as leaders, no matter how busy and how equally important other matters are on your plate, recruitment is still the lifeblood of your business. “Imagine your financial planner telling you that he has no time to prospect!” said Calvin. With time in short supply, Calvin decided to work out a solution and a system that could function without him. And the best thing about having a systemised process in place is that it can be scaled up easily by duplicating the effort and doubling down on the investment, he said. Going digital is not new. Almost everyone is on social media and uses various forms of technology and digitalisation in their daily life. So why shouldn’t your business? And LinkedIn is one of the, if not THE, most powerful online tool for businesses and professionals. With over 610 million professional users worldwide, it’s the ultimate platform to build up your network and business at any part of the world. The global community is always available as long as you are connected to the internet. Read “Mohawk Guy” tips on boosting business on LinkedIn here. With unlimited number of target candidates available on LinkedIn and his profile and presence available online 24 hours a day, he decided to focus on systemising his efforts on LinkedIn. As a start, he hired a part-time recruiter who was employed for only 3 hours a day. The recruiter’s role is simple: Engage people on LinkedIn and arrange interview sessions with the people she engaged on LinkedIn with Calvin. The results? Through this system, he recruited 5 advisers in Year 2014 through LinkedIn alone. Step 2: It is important to have a good summary that tells people what you believe in, and what kind of work you and your team do. Step 3: Posting articles regularly and at strategic times will optimise your viewership. Step 4: Your part-timer recruiter would need to engage and make new connections. Set a target of 100 new connections, as some may not reciprocate the connection. Step 5: Inviting your connections daily through Inmails to discuss career opportunities. This Inmails also helps boost your Social Selling Index as it measures your engagement with the community. Step 6: Part-time recruiter would need to follow up with those who responded to your Inmails regarding career opportunities. Step 7: For those who have not responded, follow the golden ratio rule for reminders: 3:1:2:4 - 3 reminders, sent in the 1st week, 2nd week and 4th week. Step 10: Your part-time recruiter would need to send a daily activities tracker to you to ensure you know the progress. Inspect what you expect. Once you’ve locked down the crucial steps mentioned above, you’ll start to see progress every day. And that means you’re gaining attention for yourself and your team. If every $1 you spend, you earn $2.40. How much would you invest? Being an engineer by training, Calvin worked out the numbers to ramp it up to hiring a full-time Recruitment Officer. Once he nailed down LinkedIn and saw it was performing, he explored the same formula and applied it to the other social media platforms like Facebook and Instagram. He explained that the platforms reach different types of users. LinkedIn- the users are professionals and are in the online community to engage in industry topics and engage conversations pertaining to business. Facebook- would have people in their mid-career thinking of a switch. Instagram- where you can see family photos and more personal details of a person’s life which tend to be favoured amongst the millennials and Generation Y crowd. With that in mind, he set KPIs for the recruitment officer for the other social media platforms in ratio to the level of engagement that might have the probability of arranging an interview. The type of contents that are being posted are also different on every platform, but the intention is always the same- to recruit. To connect, reach out through direct message and set up an interview. Other than being very active on LinkedIn, Calvin warns that the content posted would matter a lot. The materials you post on your feed reflects on your personal image. If you’re focusing on a particular industry or trade, then you should be posting articles and contents that is engaging to your target audience. The art of posting is also more than just the contents you’re offering to the online community. There are time zones that are peak because the traffic online tend to be higher eg. In the morning where people are commuting on public transport, during lunch time or after work. Posting your content at an odd hour may result in getting pushed back by the fresh contents that are being loaded at the peak hours. Consistency is key and vital. Keeping a regular routine in the digital space helps to maintain your presence in the online community. Making sure you post relevant content forms a professional image of your personal brand, and connections within the same industry/ trade as you will see you as a good source for information and inspiration. 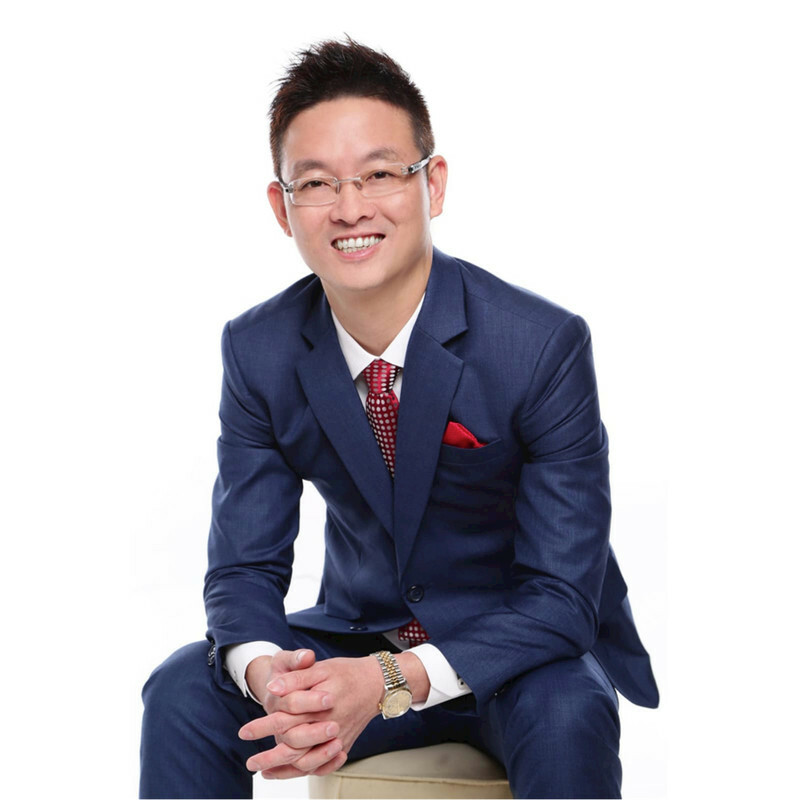 This article is based on Calvin’s presentation at the 18th Singapore Agency Managers’ Conference by Financial Services Managers Association (FSMA).